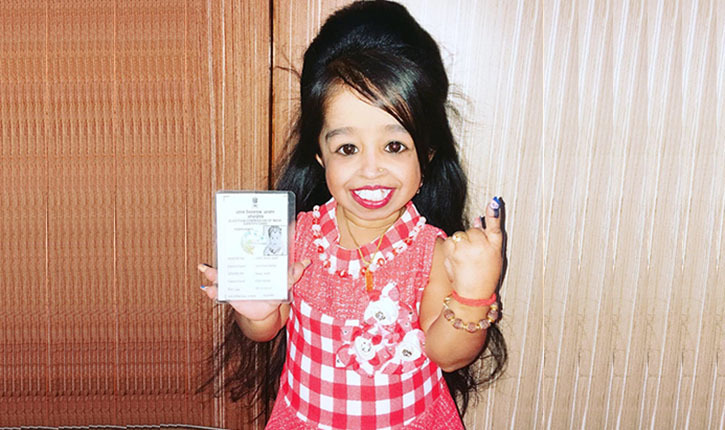 Nagpur: Heads turned when the world's smallest woman, actress and Guinness World Record holder Jyoti Amge - who stands just 63 cm tall - turned up to vote at a polling station in Nagpur on Thursday. Voting is underway in Nagpur to elect a new MP for the next Lok Sabha which will be formed after the 2019 Parliament Election. Counting of votes will be done on May 23.